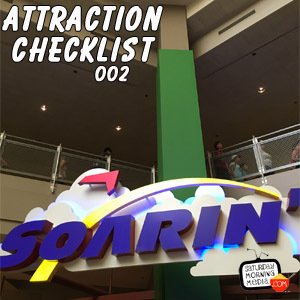 On this episode of Attraction Checklist we get one last ride on the original Soarin’ attraction at Epcot in Walt Disney World. This audio was recorded on May 27, 2016. Along for the ride are John B. deHaas and Tim Hinton. Ride along with us and tell us what you think about the original version of Soarin’.